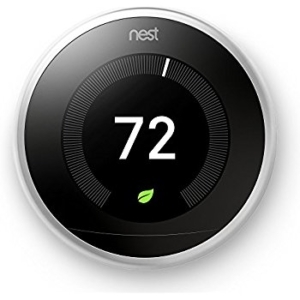 At Swanton Energy Services, we only want the best for you and your nest. In fact, this aspiration is what drives our team to go out on a limb to help you breed a more energy-efficient home, land lower energy bills and take your comfort to new heights. We’ll start with an energy audit. During this thorough assessment, our professionals will evaluate your entire home (for free) to determine whether you have your swans in a row. Essentially, is it comfortable, energy efficient, healthy and safe? Well, with this audit, you’ll be able to hatch the truth. After unearthing your home’s efficiency issues, we’ll make them fly the coop. To do this, our team will recommend—and then expertly deliver—the energy solutions your nest needs to send its efficiency soaring. Under our wing, there’s truly no place better than home. Our wingspan of energy-efficiency solutions is broad. But, when it comes to increasing your home’s efficiency, insulation and air sealing are your go-to wingmen. Here’s why: Heating and cooling your home accounts for 50 to 70 percent of your home’s energy use. However, if your home lacks proper insulation, then this heated and cooled air will just seep out of your home. But by insulating and air sealing your home, you can stop energy waste from ruling your roost. It’s time to bring your comfort and your budget in for a smoother landing. But don’t let the price of an energy efficiency solution deter you from following through. From upgrading your equipment to adding insulation, at Swanton, we offer rebates up to $4,000 and 0 percent loans to help your budget navigate a potential financial storm. Tier 2 Estimated total energy savings (TES) of 5% to 19.9%. Tier 3 Level 1 - Estimated TES of 20% to 24.99%. Tier 3 Level 2 - Estimated TES from all work must total at least 25%. To get started, fill out our energy audit form or call us at 732-335-6731 today!